We are about to commence on site with our project in Grandison Road, located “between the commons” in the London Borough of Wandsworth. 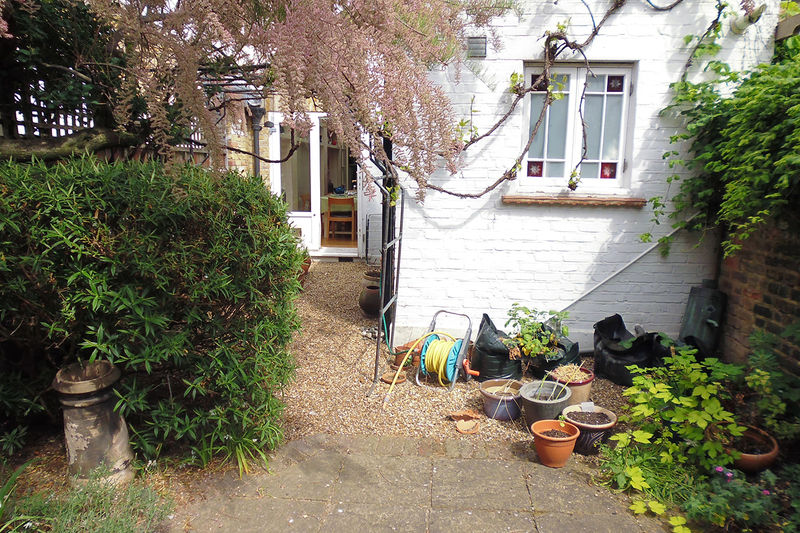 Our proposals look to completely remodel the ground and rear of this Victorian terraced house. Our clients needs as a family had recently changed in that their two boys aged 14 & 11 have very different needs for the space from when they first bought the property, several years ago. They requested different zones so that when the boys have friends around, they have a room to themselves, and the rest of the family have a place too. As with many families they want the new kitchen to be the hub of the house and they wanted to give more space to the property with a rear extension and with the use of open plan living, allowing for a seating area in the kitchen and a home working desk area. The front reception room is to become a more traditional sitting room with a room for 2 sofas, TV and games and a book case. 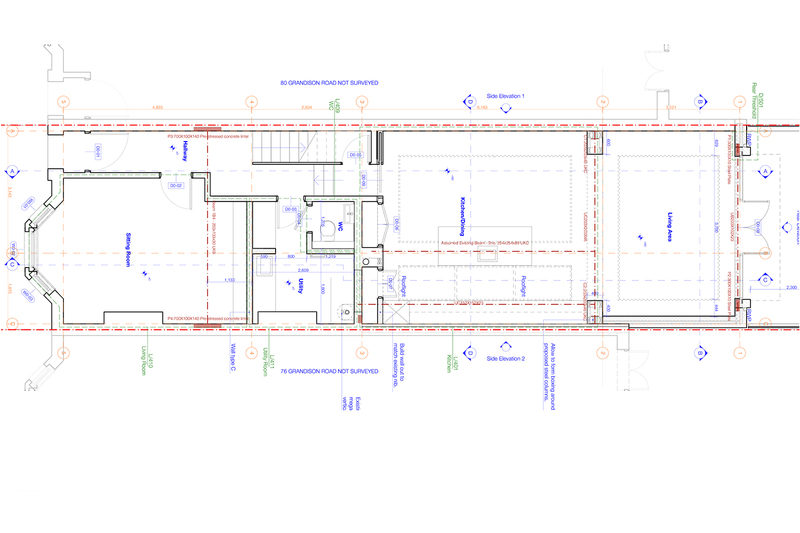 We are also inserting a new utility room into the plan. It was decided early on that the back of the kitchen will have steel frame windows and doors onto the garden and these will be supplied by Fabco Sanctuary. Being South facing, the garden receives a good deal of sunlight, so we have designed in a cantilevered steel louver that once planted with foliage will moderate the levels of sunlight and solar gain entering the kitchen, and control overheating in the summer. Early on, we asked our clients, what experience did they have with building projects? Their response was ‘None except for loft conversion. The whole process fills us with dread but the works are essential.’ Working closely with the experienced contractor APT Renovation to deliver this project, and with our experienced Architect Jake Wells overseeing the project, we hope that we can reassure them that the works should not be something to dread, in fact it should be a pleasureable experience from start to finish.